In 2006 Colley Andrews, Ken Davidson and Darvin Knapp founded Crescent Consulting, LLC and Crescent Services, LLC collectively known as Crescent Companies, LLC. The companies are headquartered in Oklahoma City. With over 100 years of combined experience in the oil and gas industry, the founders set out to establish a service company focusing on water management solutions for operators and a consulting company to provide the industry with talented, experienced well site supervisors. Crescent Consulting provides well site supervision and project management to our clients on drilling, completion and work-over projects. As Mr. Andrews says, “We can provide a well plan and execute it throughout every phase of the well, from managing the project internally through support staff to pumping the well upon completion”. Through our years of experience we can compile a complex well plan, then execute it by providing experienced consultants to supervise our client’s operations. The consulting business was established out of a desire to fulfill an industry need and through our experience in the drilling and completion business over the years we built a substantial network of experienced individuals. “We turned that network into a consulting company that provides the best consultants in the industry” says Andrews. Mr. Andrews served as Vice-President of Drilling for Chesapeake Operating Inc. where he had been employed in various positions of responsibility from 1990 until his retirement in 2006. Mr. Andrews had been involved in the oil-field service industry prior to his employment with Chesapeake from 1987 thru 1990. Mr. Andrews was employed by Phillips Petroleum from 1977 thru 1987 and following graduation from high school in 1974 was employed for various well service companies and roustabout service companies until his employment began with Phillips. Joel Acosta is Vice President of Operations at Crescent Consulting. Prior to Crescent Consulting, he served as Drilling Manager of Permian Assets for WPX Energy and RKI Exploration (acquired by WPX). 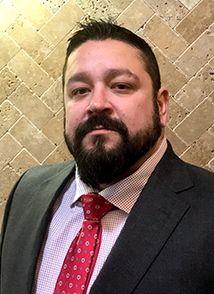 Mr. Acosta began his career at SandRidge Energy as a Drilling Engineer, and spent a good portion of his career in the field helping manage a program of over 20 drilling rigs. Prior to RKI Exploration Mr. Acosta worked for Range Resources as a Senior Drilling Engineer. He has managed drilling projects in the Powder River Basin, Anadarko Basin, Delaware Basin, and Cotton Valley Trend. 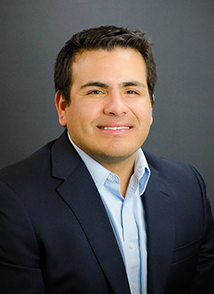 Mr. Acosta received his Bachelor of Science in Petroleum Engineering from Texas Tech University in 2006. Brock Knapp has been in the oilfield for over 11 years starting as a roustabout to rough necking on work-over rigs in West Texas form 1996-2001. Mr. Knapp soon joined the United States Army and served honorably earning many military awards and also, being deployed to Iraq in 2005. After returning home, Mr. Knapp gained employment as a Drilling Fluids Engineer for Anchor Drilling fluids working in the high pressures of Western Oklahoma and Louisiana. In 2009 Mr. Knapp became a Drilling Consultant for Sandridge Energy, working in the Mississippi Lime. 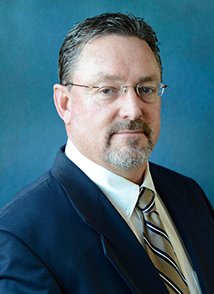 Mr. Knapp joined the Crescent Companies in June of 2010, taking over as Drilling Superintendent for the project management group. He was soon promoted to VP of Business Development. Mr. Nelson has over 30 years of various drilling, production, and completion experience in the Mid-Continent region, offshore Texas, Wyoming, Illinois, Michigan, and California. During his career, Mr. Nelson has been employed as a Field Engineer by Unocal, as a Senior Field Engineer at Mobil, as an independent consultant both domestically and internationally, and has held senior management positions at Ricks Exploration, Chesapeake, SandRidge, and LeNorman Operating. He possesses extensive field experience, working more than half his career as a Rig Supervisor and Field Engineer. 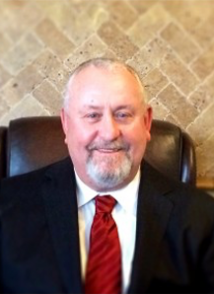 Mr. Nelson is a registered, licensed Petroleum Engineer in the State of Oklahoma, holds a B.S. degree in Mechanical Engineering from Texas Tech University and a M.B.A. from Oklahoma City University. 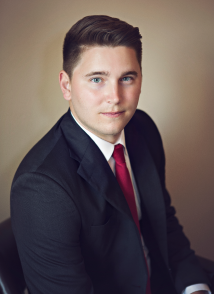 Mr. Cummings joined Crescent Consulting in 2018 and is currently one of our Senior Project Managers. Mr. Cummings most recently served as Senior Operations Engineer at Echo Energy, where he managed drilling and completion for a multi-rig program in the SCOOP and STACK. Prior to that, he served as a Drilling Engineer at SandRidge Energy, managing multiple rigs in Texas, Oklahoma, and Kansas. Mr. Cummings holds a BS degree in Petroleum Engineering from the University of Oklahoma and has been a licensed Professional Engineer in the state of Oklahoma since 2016.